No load money market funds can offer a great short term investment choice. Money market mutual funds are convenient, extremely liquid, and safe compared to many other investment options. Money market interest rates are usually higher than other investment interest rates. A money market no load fund may be the best place for your investment capital, depending on your investment needs, strategies, and the risk levels you are willing to take. 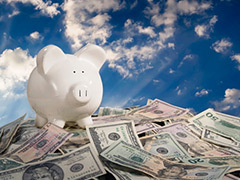 Money market mutual funds are convenient, and they are a good investment for many reasons. 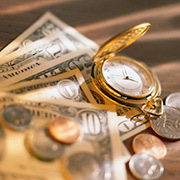 Money market interest rates are very competitive, and offer an edge over the interest rates of many other investments. They are also very liquid, so that you can take your money back at any time if you need the investment capital for long term investments. Many investors use money market investments for money that they are not using but will need in the short term for other reasons, whether it is investing or something else. A true no load fund does no charge a load fee or sales commission, and the 12b-1 marketing fees should be less than one fourth of one percent of the net assets of the fund. No load money market funds offer no loads to reduce your investment capital and returns. Load fees can be applied at the front end, so the fee is taken from your capital before your money is invested, or from the back end when the fee is deducted from your returns when you sell the investment. The money market has many advantages over other investment methods, and this makes it a popular choice for short term investing. General money market mutual fund portfolios usually consist of certificates of deposit, Treasury bills, repurchase agreements, commercial paper, bankers acceptances, and other short term money market investments. There are money market mutual funds which invest in only one specific type, such as a government sponsored enterprise money market fund or a US Treasury securities money market fund. Some of these funds are taxable, while others are tax exempt. This is another advantage for money market funds which only invest in federal and state securities, because the money that would go towards taxes can be reinvested into the fund or another investment choice. Most money market funds invest for security and liquidity, in that order, but this is not always the case. Do not assume that just because you put your capital into a money market that you can not end up taking a loss. Make sure to do the necessary research to determine which fund is best for your investment needs and preferences. Look at the past performance and determine whether the fund fits well with your investment strategy or not. Money market interest rates are higher than other investment types, so you can get better returns by choosing the right no load money market mutual funds. Money markets are different than other investments when it comes to the features available as well. A lot of these funds will allow you to write checks to access your money, as well as using the usual method of closing the account and accessing the money. This feature is extremely convenient, and gives you instant access to your investment capital at any time you need it. Not all money market funds offer this feature though, so you should check this factor when researching a fund if it is important that you can use this. No load money market mutual funds offer many advantages without having to use a broker. These investments are considered the safest globally, and they are also the most liquid, to allow access to your investment capital without delays. There is usually small investment requirements, sometimes as little as five hundred dollars, so you do not have to start with large amounts of money. With certain money market funds your investment income is even tax exempt, making them even more attractive. I like that these are small, short investments. You’re saving up to retire but can still get your money if needed.